Numerous young female singers and songwriters cite Madonna as a key influence in their music, including 25-year old Ava Max, who co-wrote and sings her break-out global hit “Sweet but Psycho” –it’s charted #1 in over 17 countries, including the trend setting UK and hipster Germany. “Sweet but Psycho,” an uptempo, uncomplicated, danceable Pop song, has connected in a big way with US audiences and is ranking Top 10 on Top 40 and Top 15 on Adult Top 40. The song’s story line and lyrics deserve a better video: This one is more psycho than sweet. 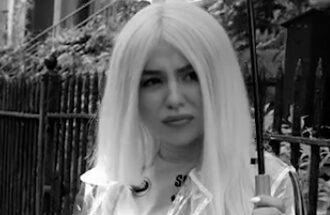 Ava Max was born in Milwaukee, WI to Albanian parents.